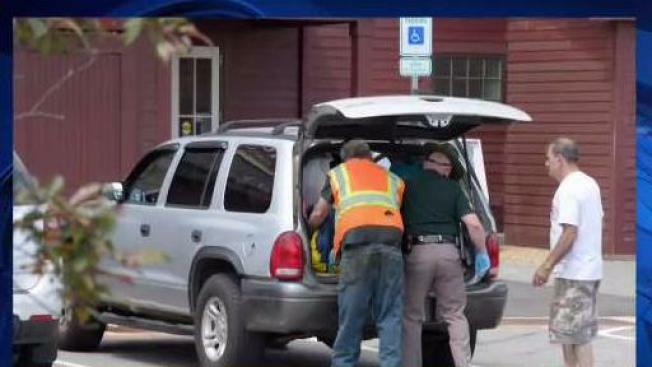 A man may be charged after shooting and killing a dog that was attacking his dog at a New Hampshire rest stop on Wednesday, state police said. It happened at a northbound rest stop on I-93 in Hooksett where, according to state police, a large mixed-breed dog attacked a Shih Tzu after breaking free from its owner's car window. As multiple people tried to pull the animals apart, the owner of the Shih Tzu allegedly retrieved his legally owned firearm and shot the larger dog, killing it. The Shih Tzu was taken to a local vet and said to be in stable condition. Fellow Shin Tzu owner Janice Manning says she has mixed feelings about the situation. "I think it's horrible I can't believe it happened here," Mannning said. "I wouldn't leave my dog in the car with the window wide open either. That's crazy." Police are investigating a possible reckless conduct charge in connection with firing a weapon in a public area, though the owner was legally justified to discharge his weapon. The dog owner's name has not been released.